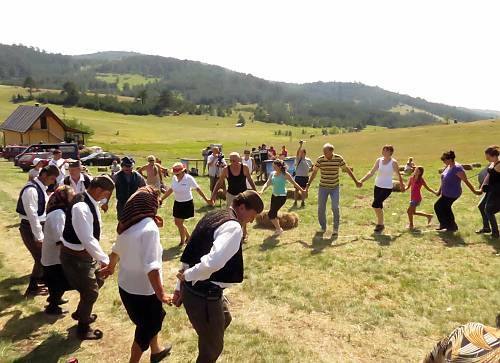 Kolo is a traditional, collective folk dance performed by dancers who are interlinked to form a chain, usually moving in a circular line holding hands with their arms down. It is performed to the accompaniment of music at private and public gatherings and involves all members of the local community. 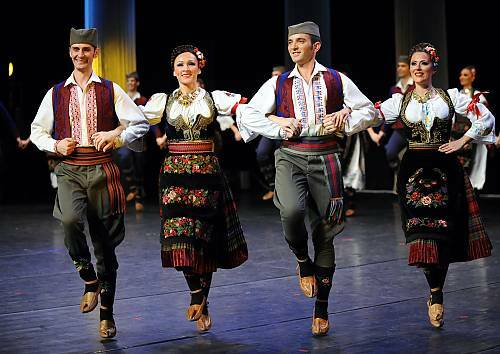 Cultural-artistic societies and folk dance troupes are also important bearers and practitioners of the element. Kolo has an important integrative social function, fostering collective identities at different levels in the communities. It is a symbol of national identity and bears the hallmark of local and regional communal identities. 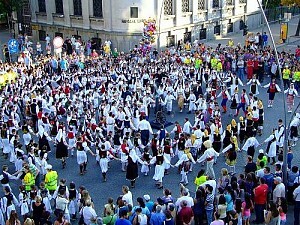 Performances during celebrations of the most important events in individuals’ and communities’ lives make this element very present and sustainable at all levels. Bearers and local communities ensure its visibility by organizing local, regional and national fairs, festivals and competitions, and the sustainability of the practice is also ensured by cultural and artistic societies. Learning through direct participation is the most common way of transmitting the skills and skilled dancers motivate other players, awakening in them a desire to learn and improve their own performance. Knowledge is also acquired through the regular education system and in ballet and music schools.